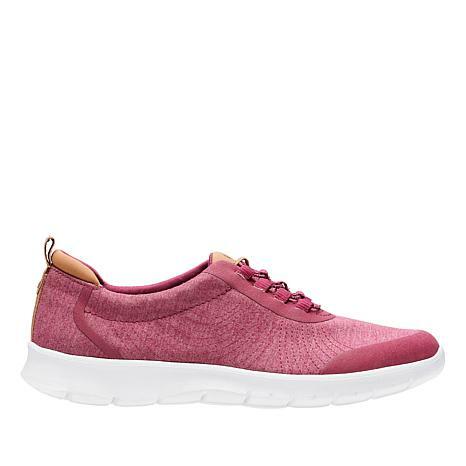 This CLOUDSTEPPERS™ lightweight lace-up sport shoe has sneaker appeal, but its silhouette is streamlined, making it a great match for most anything in your wardrobe. These are the most comfortable shoes I've ever owned. I bought 3 pairs, blue, gray and fushsia! They look good and I feel like I'm walking on air! I definitely recommend these Cloudsteepers Sneakers! Wish these came in a moisture resistant option. I work 12 hours on my feet and these are perfect. They even accommodate my arch support inserts. They are so comfy I even eant to wear them on my days off! 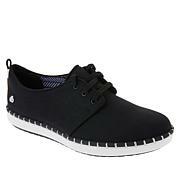 Comfortable, great quality shoe just as you would expect from Clarks. I love everything about these sneakers: the great fit, the stretchy material, the bungee laces, the way they look, the way they feel, and the way they don't make my size 12 feet look even more ginormous than they are! Buy these if you love your feet!!! p.s. I got them in grey and it's a wonderful goes-with-everything color. 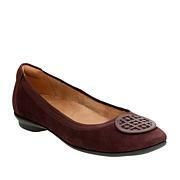 I got these for my mom - she has problems with bunions - perfect fit for her !